Friday, September 07, 2018 - You may have seen or heard these self anointed pastors doing crazy things in their churches but this guy takes the trophy. 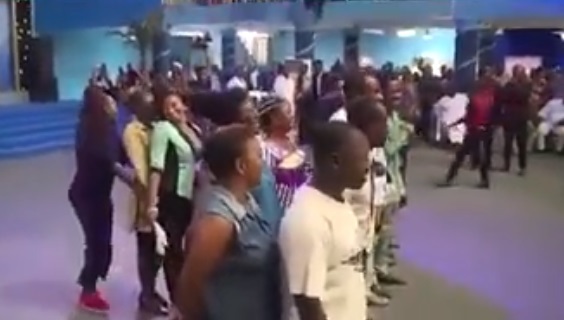 This Nigerian pastor went out of his way to make sure all the single ladies in his church got husbands. He called upon all bachelors in the church to come forward and then asked the single ladies to choose husbands from among the guys. Shockingly, several women came forward and lined behind the guy they had their eyes on. This is pure comedy, even God must be laughing at some of this madness.